In a Java Shared Hosting Server, for adding a new subdomain or addon domain name, please refer the below steps. For adding a new subdomain in the Java Shared Hosting Server, first the subdomain has to be created in the Cpanel, (From Cpanel the DNS will fetch), Refer the below demo tutorial for adding a new subdomain in cpanel. Once it is added in the cpanel, create the same subdomain in the Tomcat server, which is shared with client and run the below command line for adding the subdomain in the Tomcat server. Once the subdomain is created, restart the tomcat server. 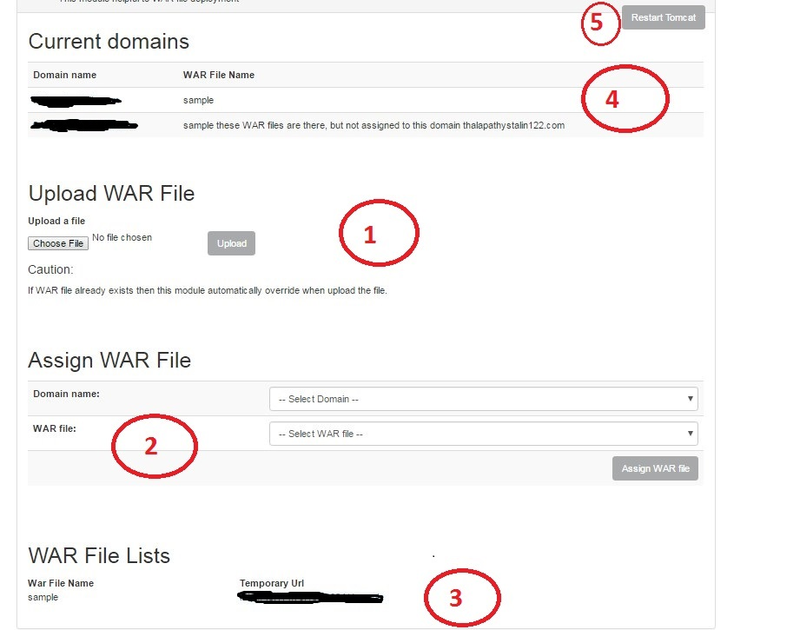 Therefore, The new directory for the subdomain will be now created in the cpanel, which is used for uploading files and database and one can refer the steps given in the below link for uploading war file or follow the same steps for configuring war file with the subdomain. Cpanel has to be used for accessing and managing emails and below are the mail server configuration which has to be used for sending the email via the website.